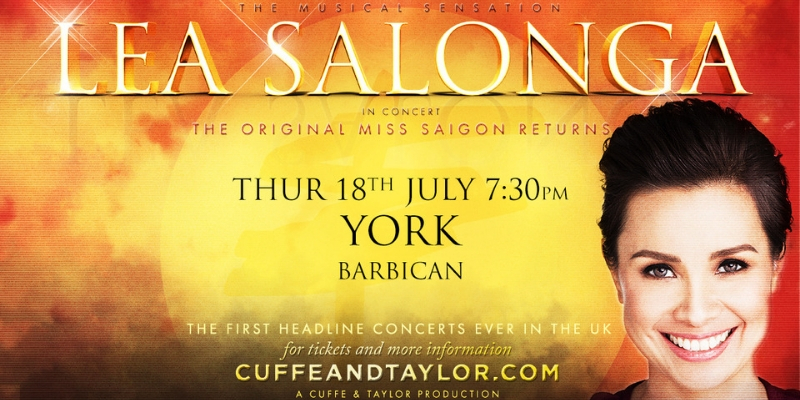 Singer, actress and Broadway royalty, Lea Salonga, known across the world for her powerful voice and perfect pitch and best known for her Tony Award winning role in Miss Saigon has announced a string of U.K. shows in July 2019. Having previously performed for the likes of Bill Clinton, George W. Bush, Diana, Princess of Wales and Her Majesty Queen Elizabeth II she has become one of the best-selling Filipina artists of all time, selling over 19 million albums worldwide and boasts numerous accolades such as an Olivier, Drama Desk, Outer Critics Circle and Theatre World Awards amongst others. In addition to playing the original Miss Saigon, she was also the first Asian to play Eponine in the musical Les Misérables on Broadway and returned to the beloved show as Fantine in the 2006 revival. She also played the singing voice of two Disney princesses, Princess Jasmine in Aladdin and Fa Mulan in Mulan and Mulan II. For her portrayal of the beloved princesses, the Walt Disney Company bestowed her with the honour of “Disney Legend” in August of 2011 alongside legends such as Regis Philbin, Jim Henson and Anika Noni Rose. This ticket includes a premier seat, tour laminate & lanyard, and a tour gift/souvenir. Please note these do NOT include Meet & Greet.